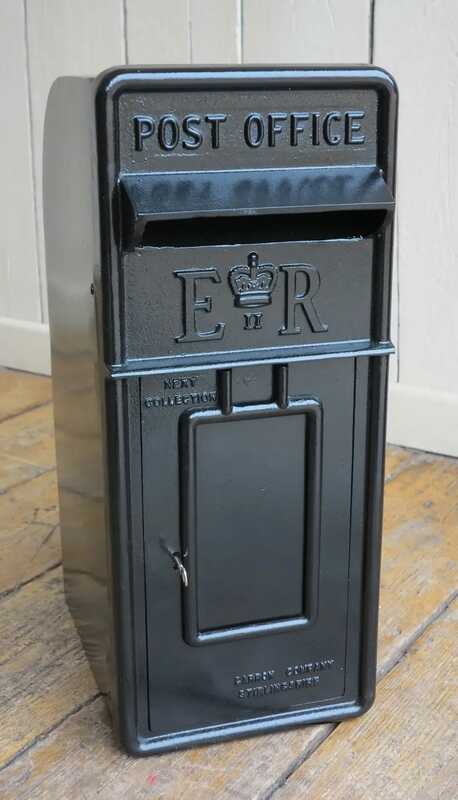 Excellent new Royal Mail ERII post box. 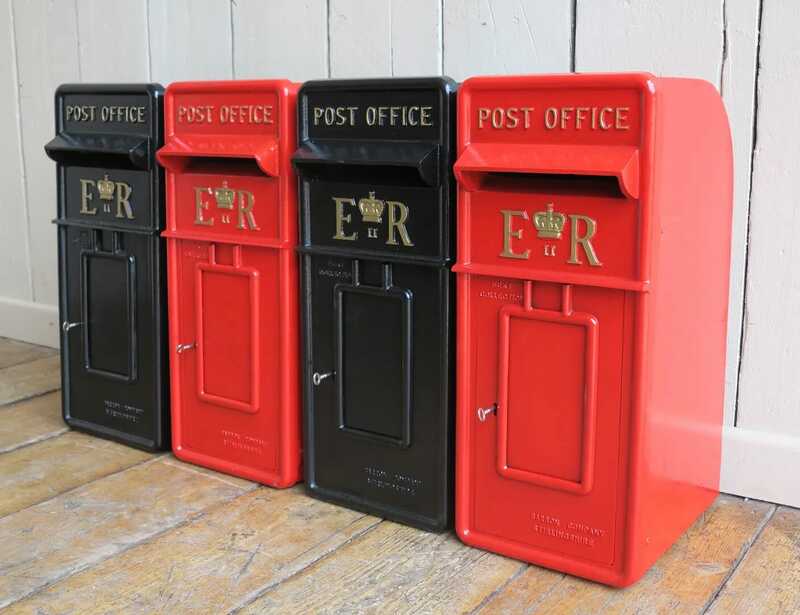 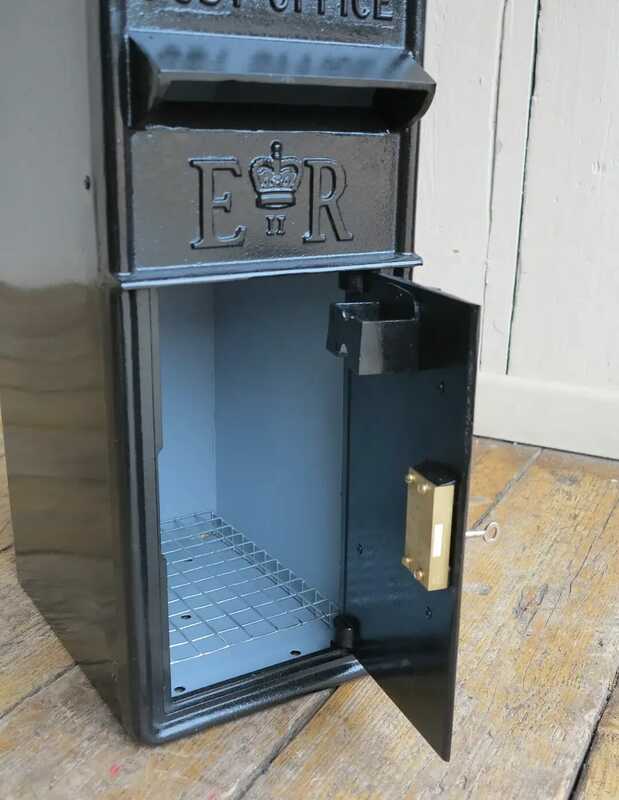 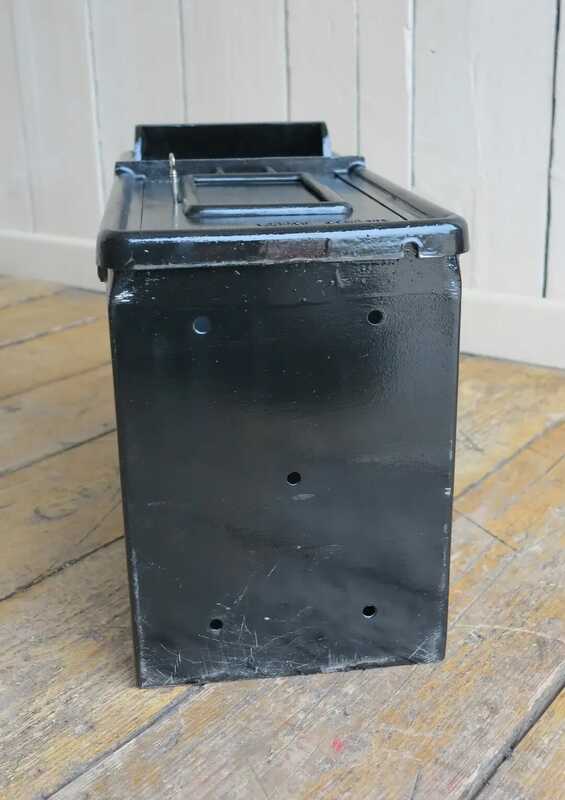 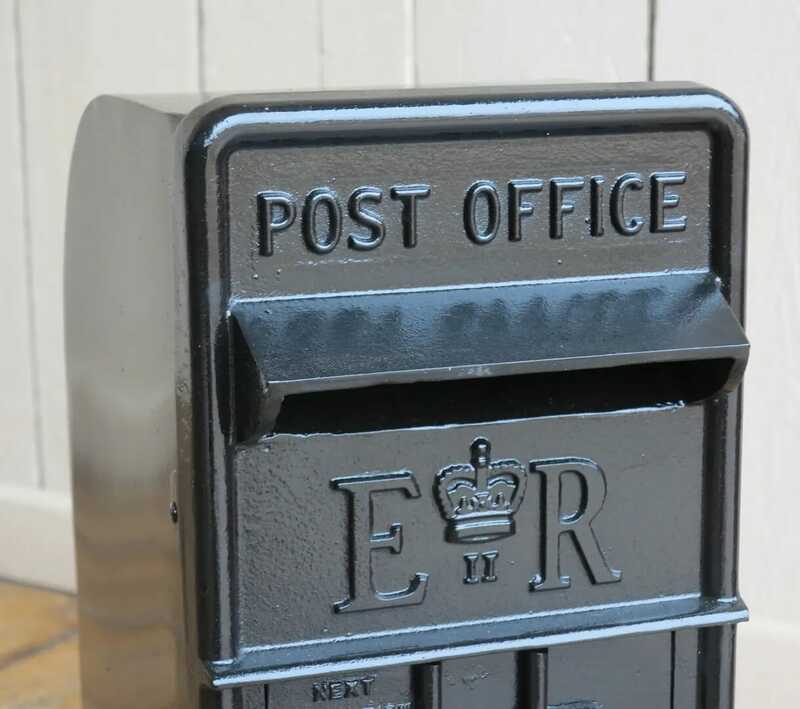 Since the 1950’s this style box has been made with a cast iron front and steel back, these post boxes have been faithfully reproduced here in the Midlands. 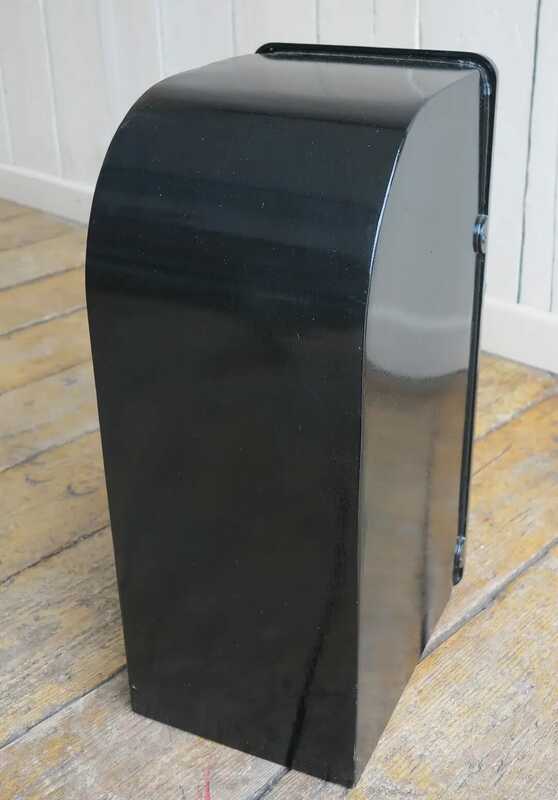 They are then fully assembled and finished here at ukaa. 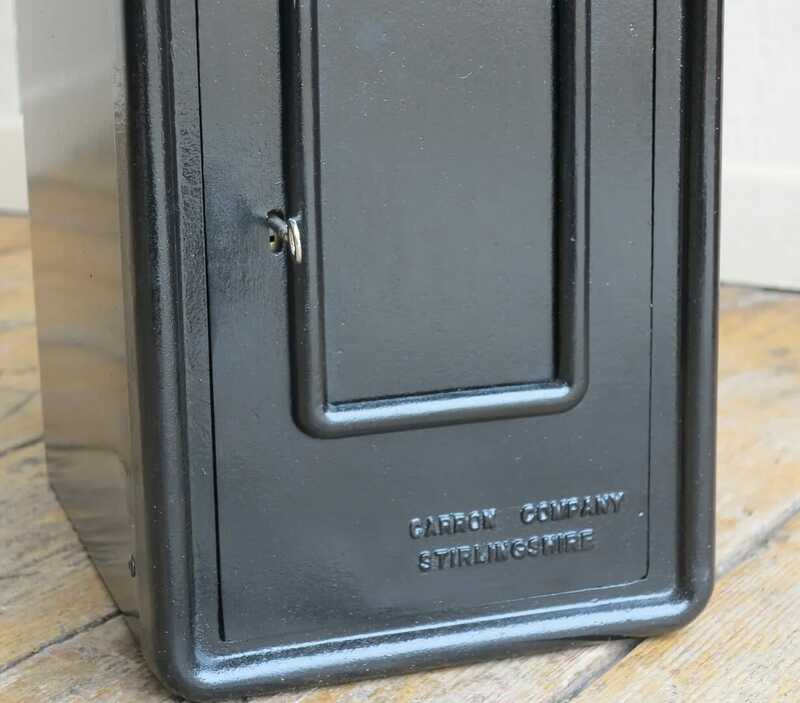 Fitted with a high quality 4 lever lock with 2 x unique keys. 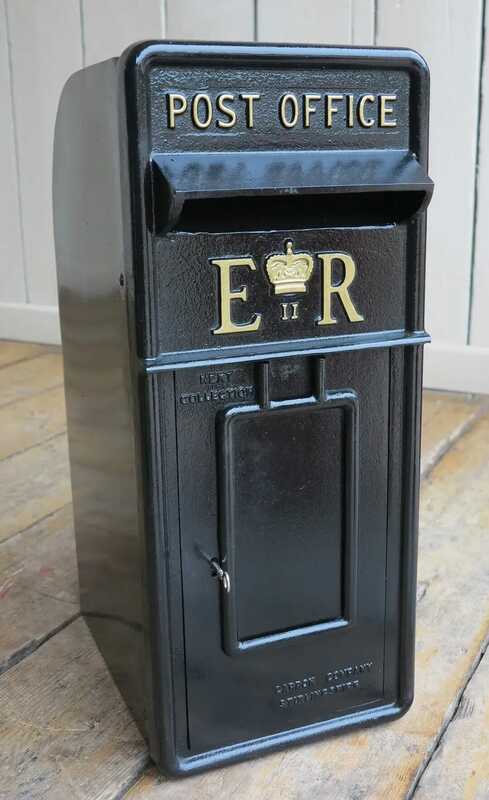 The cast iron front facia has been faithfully copied from an original Carron Company Stirlingshire antique post box. 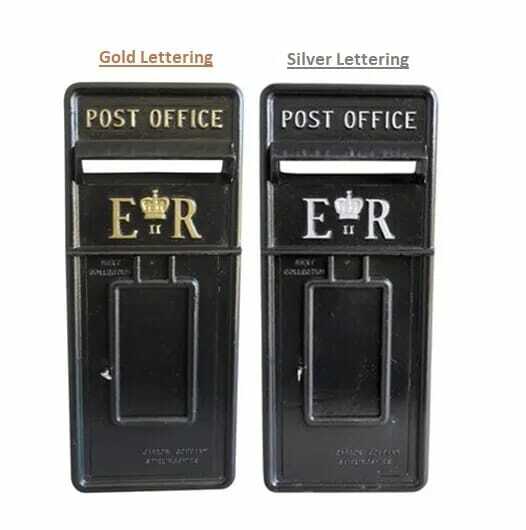 Gold, silver or black lettering available free of charge - please specify when ordering. 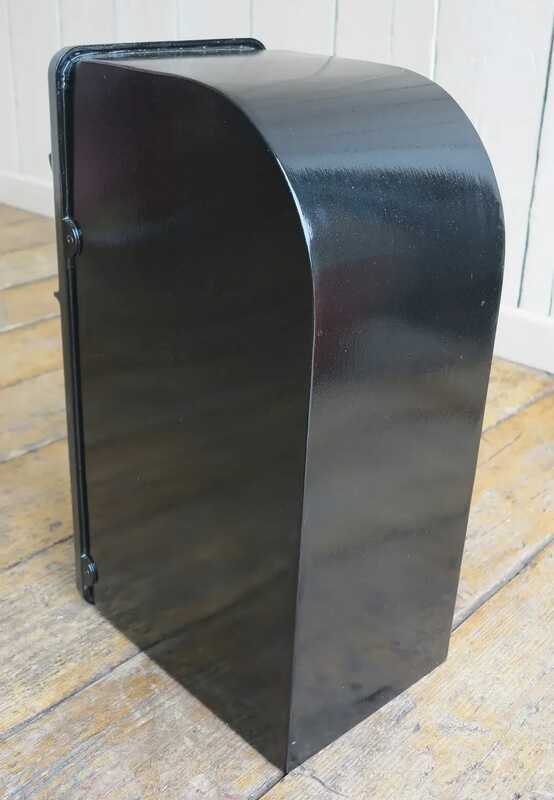 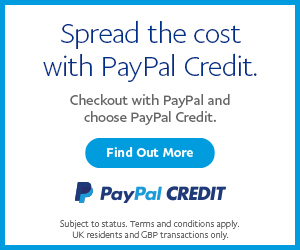 Four holes are drilled in the bottom making it suitable for pole mounting please see our advert for the poles PO4.